Janome Vs. 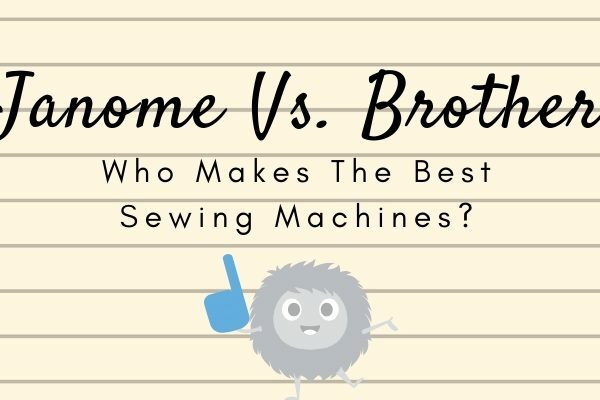 Brother - Who Makes The Best Sewing Machines? 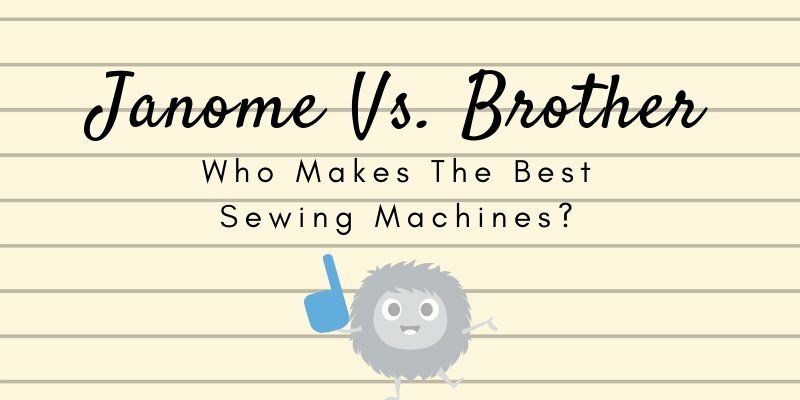 With many sewing machine brands claiming to be the best it is a little confusing to come to a decision. I’m sure you feel the same way, don’t you? Each time a new product is launched it claims to be bigger and better. It is like a constant war to draw in the most customers. All these claims make you wonder who the best is really. Which brand manufactures the best products in the industry? And what product will give you the best value for your money, along with a great experience? To answer all these pressing questions, we have reviewed and compared for you two of the most well-known brands in the game. Janome and Brother. Both brands are well established and are favorites in the sewing community. So, which one will come out on top? Let’s find out! Though the company is originally based in Japan, it exports to customers in more than 100 countries in the world. It prides itself in the quality that it produces. 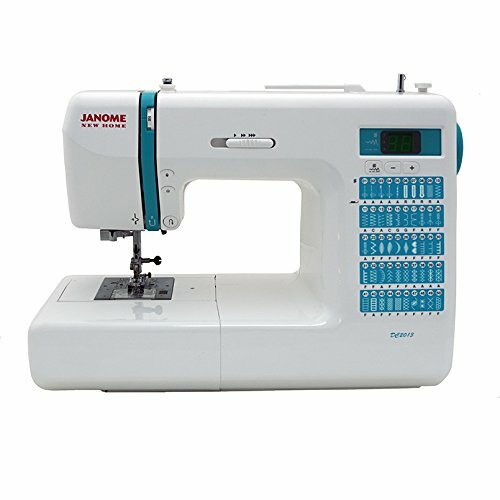 According to the official Janome website, the brand is the number 1 sewing machine manufacturer in the world. Furthermore, the company is ISO 9001 certified. This means that the company’s quality and business management is acclaimed internationally. The philosophy of the company is to provide its customers with the best most innovative products. All this is possible while meeting the needs and expectation of the customer. Started by two very ambitious brothers the company is also based in Japan, in the city of Nagoya. It was first established in 1908 and has since expanded internationally. It has 17 production sites and 50 sales sites in 44 countries in the world. These include America, UK, Taiwan, Malaysia, Korea and many more. Brother’s wide range of products covers all the latest technology and provides services in both business and consumer markets. The main goal of the company is to assist people to work more efficiently and effectively. It manufactures solutions that fuel people to achieve more. The motto of the company is “At your side.” This is reflected in everything the company produces. They deliver not only the best service but also to give the best value. So, now that we have a little more insight on the two companies we can progress further. By reading the description for both the companies you will find that they are both quite similar. In terms of services, they provide to their customers as well as the long period of experience. For this review, we will be comparing two models from each brand. Now that we have chosen our models, it is time to set a criterium. Each model will be reviewed for design, features, pros, and cons. That said, let’s get down to some reviewing. Right off the bat, the design of this machine is very simplistic. It is mostly white with little hints of blue here and there. You will find that there are no fancy controls which is absolutely wonderful. Everything you need is displayed in the front. The stitch selecting panel has buttons with corresponding diagrams. This makes it easy to identify and choose what you want to work with. There is also the speed control slider right in front, so you can easily adjust the speed to your preference. Above the stitch selecting panel, there is a small but clear LCD that displays clearly the stitch you are working with. The machine is computerised, so that makes it easier to use as well. The machine comes with an automatic bobbin winding mechanism which comes in handy quite often. It works something like this; when you push the bobbin winder to the right, it activates the de-clutch mechanism. This stops the needle automatically. Then it proceeds to wind your bobbin until it is full. It saves time, and you can prep all your bobbins in no time! There are a total of 30 built-in stitches. These are a lot to explore if you are a beginner. The 30 stitches give you enough options to play with and work your creativity. The stitch quality is also very nice as the machine provides a very accurate stitch. The stitches are adjustable with 7mm being the maximum limit for some and 5mm for others. The feed dog is another great feature. It is a seven piece feed dog that can work for many different types of fabric and also ensure that the fabric feed is consistent. If you want to use the machine for free motion quilting or embroidery, you can easily drop the feed dog. Striking again with the beautifully minimalistic design Janome has created the DC2013. It is also a mostly whit machine with turquoise accents, mainly on the buttons. The turquoise really highlights the stitch selecting options and therefore, adds to the ease of use. The design all in all is very smooth and clean without an extra element in sight. Like the 8077 the DC2013 also features diagrams for each stitch which helps to make a better selection. This model is also a computerized one. Hence, working with this will not prove to be very difficult. This model also shares the automatic declutch bobbin winder. As discussed above it assists in saving time and preparing fully for a project in lesser time. The machine has 50 built-in stitches. This also includes different types of buttonholes. The stitching speed and the length are both adjustable. The speed can be controlled by the speed slider for this model as well. The 50 stitches are sure to keep you busy for a good amount of time. The model works with what is known as the superior feed system. Working with this is a charm. Due to this feature, the machine can easily sew through many layers of fabric without a hitch. It also ensures that a smooth feed of fabric is maintained avoiding any jams. The presser foot adjusts with perfect accordance with the thickness of the fabric. The feed dog is also adjustable; you can drop it if required. The machine is a multi-purpose machine. There is little it can’t do. Has an automatic bobbin winder and needle threader. Works with many varieties of fabric. Feed system makes it work smoothly. There is not much negative to comment on with this machine. The only remotely valid point is that it could feature more stitches. The Brother sewing machine has a more modern look to it. 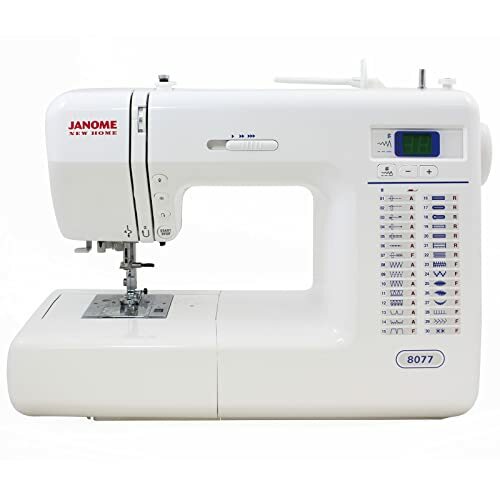 Compared to the Janome machines that opt for a more simplistic look, these are more packed. However, this by no means affects its accessibility. Similar to the Janome models this also features an LCD though it is slightly bigger than the ones Janome has. This machine is also a computerized machine that features modern technology, adding to the usability of this machine. This model features an automatic bobbin winding system. The automatic winding seems to be a staple in most modern machines and rightfully so. With this feature, the brands add efficiency to customers using their machine. This machine also has a set drop-in bobbin system. You bid farewell to fidgeting around with the bobbin because Brother has got that worry sorted out for you. The SE400 has an impressive amount of 67 built-in stitches. These include embroidery as well as utility stitches that are needed for every project. That’s not all! The models can also be connected to your computer to import the designs of your choice. It also comes with 5 embroidery lettering fonts. So, there is much to discover with this model. This machine also has a 7 piece feed dog which assists in getting more control over the fabric. It also provides precise and steady stitching. Brother adds a 4”x4” hoop or embroidery work. This will enable you to achieve more precision and detail on your projects. It also has an automatic needle threader, and the LCD is a touchscreen. Many embroidery and stitching options. A designated hoop for embroidery. Embroidery hoop size very small. You may need to make some smaller investments to get the full experience. This machine is a bit on the heavier side, but it is still a good size. It will fit in any kind of workspace without much of a hassle. The machine is mostly white with splashes of cobalt blue. The mix of these colors gives it a very fresh appearance. Like all models on the more modern side, this also had an LCD mounted in the front and buttons for stitch selection. It is very appealing to them because the exterior makes it look like a very fancy machine. This is a computerized machine that works well for both embroidery and sewing in general. This machine comes packed with a variety of options. It features 67 pre-programmed stitches as well as 70 built-in embroidery stitches. That’s not all; it also comes with 120 frame patterns and 5 fonts built in the machine. This model can also be connected to the computer to import the design of your choice. If you have a creative flair, then this machine will win your heart. Adding to that the sewing speed is also adjustable, so you don’t have to worry about that. The SE400 and LB6800PRW share the same bobbin mechanisms. This includes the drop in bobbin system as well. This machine also includes an automatic needle threader. These are very convenient features to have while working on projects for longer periods of time. The 7 piece feed dog is also identical to the previous model, and it helps in the smooth flow of the fabric. It stops the fabric from bunching or gathering up. The machine is well lit, so you can even work if your surrounding has dimmer lights. Adding to the ease of use the machine also has an automatic thread cutter which is a feature that is a cult favorite. It helps so much in the continuity of the work. You can save the extra effort and move on with your work. Can be connected with a computer. The embroidery hoop is not a very good size. After going through all four products, you will notice that each brand has its own convention. Janome is not that keen on adding a lot of fancy stuff. Rather, they go for a more minimalistic approach and make products with sleek and clean designs. When we talk about stitch quality, Janome has the upper hand as their products create finished products with cutting-edge precision. This by no means implies that Brother is not good. They also produce good quality; however, Janome has the upper hand in this aspect. Moving on to variety. Brother clearly takes the cake. 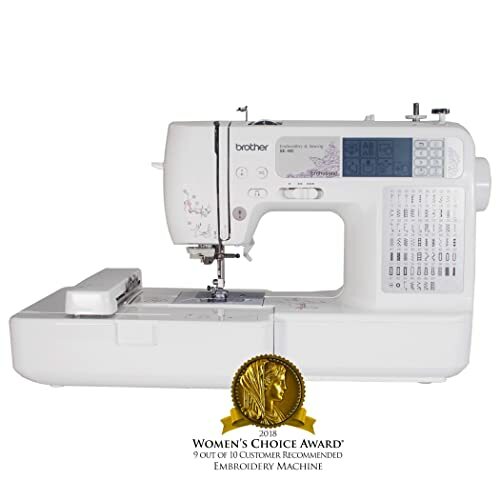 The variety that Brother offers with its built-in designs and stitches is way more than Janome. Of course, you will find all the essential stitches in Janome as well, but the Brother machines offer much more to discover. Now if we were to talk about durability, the Janome machines come out on top. Janome utilizes metal for its machine wherever it can. This makes its machines very durable. They are sturdy and will withstand time well. 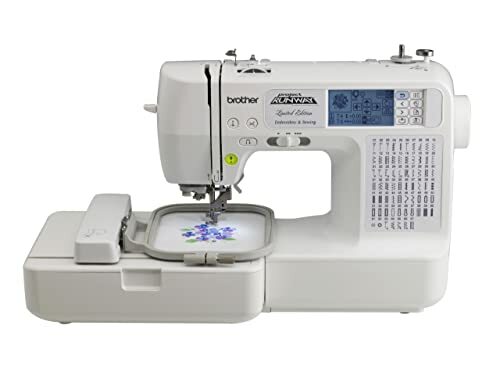 The machines by Brother are also pretty durable, but Janome machines will last you longer. Both companies offer a good warranty for all their products. In fact, their warranty policies are almost identical. Janome and Brother offer a limited 25-year warranty on their products. One more important thing that has to be addressed is the budget. If you are on a tight budget, then you will probably lean towards Brother as it has more affordable rates. However, if the budget doesn’t matter that much and you are willing to make a strong investment then Janome is a strong contender. In the end, both brands will definitely pique your interest. While both of them have some downsides, none of those factors are deal breakers. Actually, it is quite difficult to pinpoint solid flaws from either of them. This serves to prove that they have been perfected over time and experience. Nonetheless, as a final verdict, if you are a beginner to the sewing world and want to build up your expertise then go for Brother’s sewing machines. Though, if you are already a veteran or somewhere between getting there, then Janome is a good choice for you. 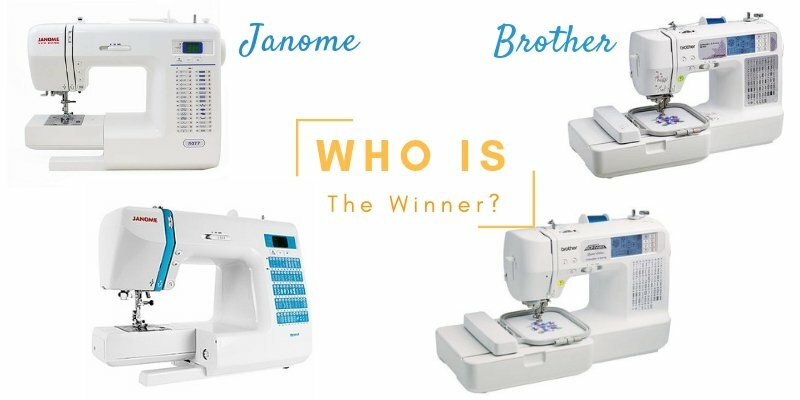 Whether you opt for Janome or Brother you will not regret your choice as both of them are a trademark for quality and service. Enjoy sewing!